All the new loan limits for 2019 are listed below by loan type. Borrowers that have questions can reach out to us by calling the number above, or just submitting the short info request form on this page. FHA’s mortgage limits are set at 65% of the national “conforming” loan cap, which recently increased to $314,827 this year. The FHA high-cost limits 150% of the conventional loan limit, which is now to $726,525. High-cost locations like South Fla, CA, CO, VA, NY, etc are those where 115% of the median home price is greater than the floor ($314,827) but less than the ceiling ($726,525). In these areas, the limit equals 115% of the median home price. The FHA loan limits for 2019 apply to both FHA purchase and streamline /cash-out refinance transactions. All of the base FHA mortgage limits apply to standard 1 unit properties, 2-4 unit properties will be higher. All of the latest FHA loan limits by county can be viewed on the FHA page here. The latest Conforming/Conventional mortgage limits have been raised to $484,350 for most counties across the nation. Like FHA, higher cost states will see greater limits up to $726,525. Loans above this amount will be considered a jumbo loan. VA loan limits follow the same as conforming limits listed above. VA loan amounts that exceed the standard conventional caps are considered VA Jumbo loans and will require a small down payment. USDA Rural Housing loans do not have set loan limits. Instead, borrowers qualify based on their debt to income ratios. 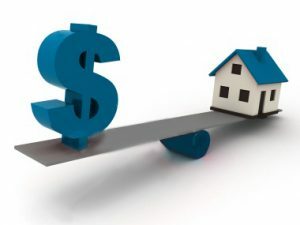 The general guideline is borrowers housing expense (mortgage payment, taxes, and home insurance) should not exceed 30% of their gross income. Since USDA loans DO have household income limits, this will generally limit the size of the permitted loan amount to below conforming limits. Read more about the USDA loan limits. Please connect with us today to learn more about any of the programs listed.